I think a lot of the problem with this stems from our expectation and tropes around episodic shows when dealing with something that isn’t metaplot. 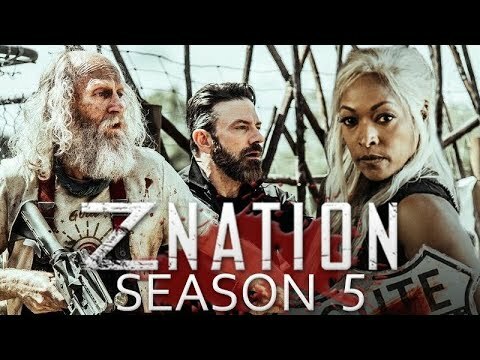 Z Nation is not a show that wants to focus on Native Americans or colonialism, nor does it want this to be a recurring theme and issue. By the rules of Episodic Television, this is a monster/issue of the week episode and needs to be resolved at the end of this episode. This happens a lot on television shows that decide to DEAL with any marginalised issue but don’t want marginalised issues to be a theme of the show. So you have a Very Special Episode which ends overly simplistically which resolves The Issue at the end of the episode because we really cannot allow nuanced ongoing issues that can’t be solved by the end of the credits. ...yeah there was no way we were getting through this episode without woo-woo. Extremely dubious woo-woo. Vision quests et al were always going to happen, sadly. Oh and a guy apparently always getting insight from his dead grandfather which is apparently a thing? I mean, I wouldn’t snark so much if we were going to follow up on this and say like, yes, vision quests, magic, possession, ghosts etc are real not just zombies. But we don’t - we have Native Americans so we have woo-woo.